The first generation zombie code-named ‘Normal type’. This specimen is an all-rounder with above average movement speed and knock back resistance against human attacks. It has the ability to go berserk which greatly increases both abilities above. 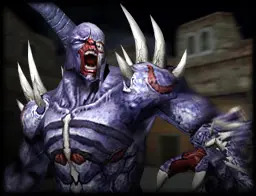 An abomination created by Dr. Rex, this zombie is code-named ‘Light type’. She boasts fast movement and good jumping ability but is highly vulnerable to knock back. The Light Zombie possesses the ability to become near-invisible. The tanker, or ‘Heavy type’. This specimen, while slow excels in breaking humans’ defensive line with its high resistance towards knock back. It has an ability to drop mobility traps which temporarily immobilizes any humans stepping on it. These shamans are infected by the Rex Virus by their own wills to obtain stronger magical power. They have abilities to heal both team members and themselves. 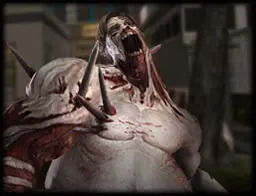 This zombie is a former biologist working for Dr. Rex until he transformed into a zombie following the outbreak, earning the nickname of ‘psycho type’. The Psycho Zombie is capable of releasing a dark smoke cloud which reduces the humans’ mouse sensitivity. A special zombie that started to appear on a large scale since the Prototype Phobos was discovered. It has a skill to drop an enemy’s weapon with a distant shockwave projectile or make them unable to attack for several seconds. 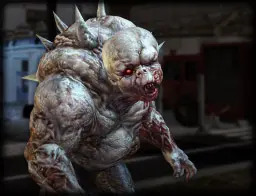 Belonging to the Siege Type zombie family, Ganymede acts as a bullet sponge with its huge amount of health points and resistance to knock back. 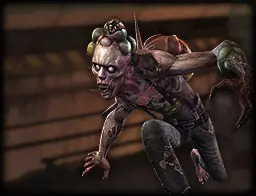 It skill shares a similarity to the Regular Zombie’s which is to rush enemies at increased foot speed. 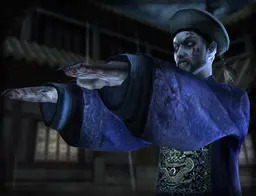 Jiang Shi was an officer during the Qing Dynasty. Dead and buried in the depths of the earth, his remains were re-animated into a walking corpse after the zombie apocalypse. 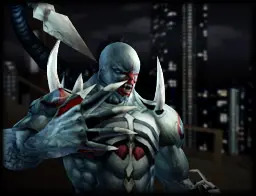 Shares the similar berserk skill with the Regular Zombie. 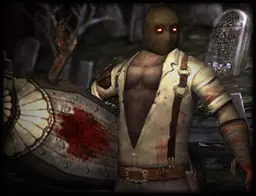 Rumors say that a deceased torturer in some part of Europe has revived as the Stamper and is going around killing people in more cruel ways than he was before. His Iron Maiden allows him to slow down enemies and shield him from attacks. It also helps propel him to unreachable places. The existence of the Banshee has always been folklore. It was once said that the witch was lynched for leading a group of heathens. The Banshee has the ability to pull a target towards her from a long distance. 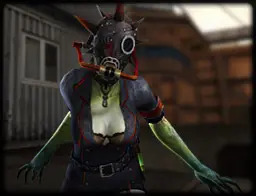 String Finger is a female Researcher who transformed into a zombie due to the Z-Virus mutation while working in an unidentified illegal research complex. With her elasticity, she is able to pierce through several enemies lined up with a sharp tentacle. 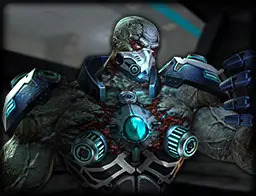 Venom Guard is a male security guard who met the same fate as the Sting Finger. Its body has been filled up with some toxic substance as a result to the prolonged exposure. 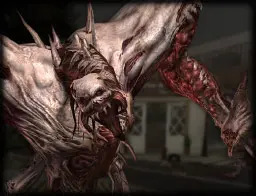 Venom Guard is able to harden its body and recover from injuries, likening it to the Boomer from Left 4 Dead. As a separate experiment under Dr. Rex, Metatronic is a cyborg-zombie which infuses strength and durability into one package. 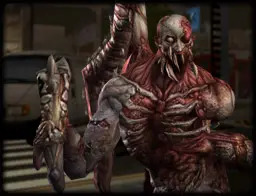 He possesses a unique feature, Immortality which allows him to maintain invulnerable for 5 seconds once his health points reaches 1. 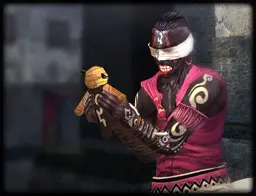 He is a “hidden” zombie hero by choosing “Random” for zombie selection. 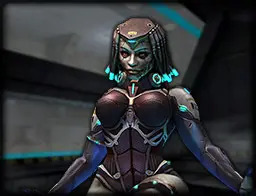 Part of the separate experiment under Dr. Rex alongside Metatronic, Lilith is a cyborg-zombie which allows her to teleport across the map with her special skill. 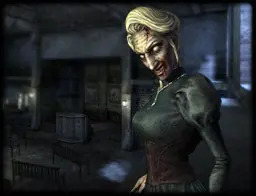 She is a “hidden” zombie heroine by choosing “Random” for zombie selection. 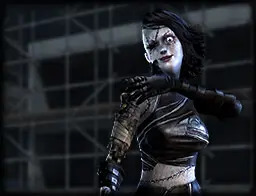 An assassin who lost her legs from a large explosion and resurrected as a zombie with the experiments of Dr. Rex. She accumulates a special energy as she moves and jumps around and is able to perform huge leaps. 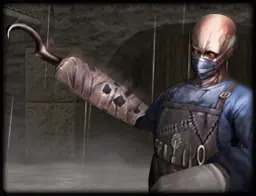 A researcher who was studying weapons at Dr. Rex’s lab, but he wanted to conduct a more powerful weapon experiment and somewhat became a zombie himself. 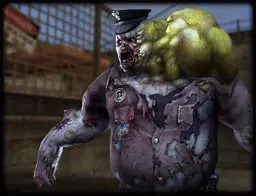 He is able to throw unlimited amount of zombie grenades at the expense of his health points. A promising female inventor that showed exceptional talent in a variety of machine productions. During one of the performances, Manda produced a flying machine but lost her life in a crash. 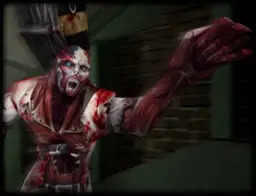 In Zombie 4: Darkness, the regular zombie has the ability to climb walls alongside his berserk ability. The Light Zombie can now leap a great distance and height. However, her defense ability remains low and remains vulnerable to knock backs. 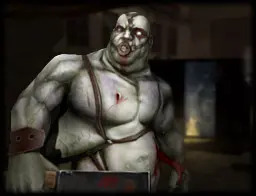 The Heavy zombie remains formidable with the ability to stomp the ground, and also strengthen his defense. However, he loses his ‘Trap’ ability. Small yet dangerous, the Spin Diver with no doubt is the most troublesome zombie to deal with in enclosed areas. The moment this twisted creature begins to roll, nothing will stop it from breaking through. High defense and fast zombie. One of its abilities allows it to perform double jumps in quick succession to surprise enemies within seconds.